Over 200 years ago, the United States minted a new gold coin for general circulation. Oddly denominated at $2.50, this coin reflected changes in the then fledgling American economy. Intended for standard use, much like today's $100 bill, this coin represented the new economic growth in the country. In a similar way, many pundits today expect the International Money Fund (IMF) to reflect the new global economy when it confers Special Drawing Rights (SDR) status to the Chinese yuan in October. If this occurs, the yuan will join the U.S. dollar, British pound, euro and yen as the currencies that meet reserve requirements for international transactions. As we have been reporting in recent articles, the possibility of this change has placed stress on our purchasing power and future financial security. Currencies will most likely rise and fall on the news, and with them, most of the assets we hold in our portfolios. Wise investors are beginning to look for protection in assets which are uncorrelated to any market, assets relatively immune to normal stressors, and assets whose demand are based entirely on market forces unrelated to currency valuations. Rare coins continue to break records at auction. 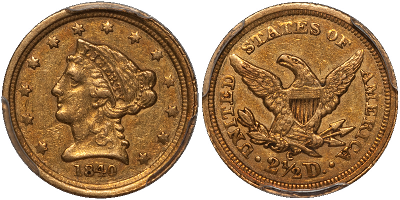 At last month's Sotheby's Rare Coin Auction, the sale of the renowned Pogue Collection reflected investor confidence in the asset protection value of the uncorrelated, rare collectible coin. 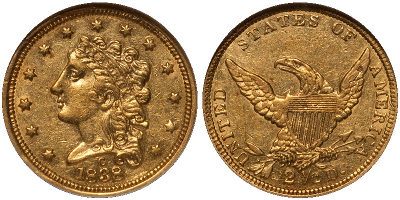 The 1808 Quarter Eagle coin, worth $2.50 when it was minted, set a world record for any coin of that denomination - selling for $2.35 million - becoming the most valuable 19th century U.S. gold coin sold at auction. Similarly, a half-dollar minted in 1797 sold for nearly $1.5 million, becoming the most valuable half-dollar coin ever sold. 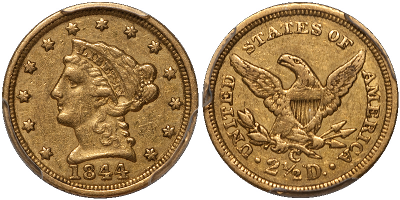 Doug Winter, our Rare Coin Program expert and the world's leading expert on Pre-1933 U.S. rare gold coins, was present at the Pogue Collection auction. He reports the enthusiasm in the room, from both collectors and investors, was unlike any auction he has ever attended. There was a general feeling that rare coins are the asset to acquire to protect portfolios from coming uncertainty. Interestingly, the same atmosphere was present at the record-breaking Christie's art sale held around the same time. It is clear that the uncorrelated asset is viewed as the 'must have' portfolio protection holding for both the near and long-term future. Uncorrelated rare coins are available to all investors. While the record-setting rare coins from the Pogue Collection are surely not accessible to all investors, there are many rare coins in the market that are attainable for investors in all price categories. The ASI Rare Coin Program (RCP), with the help of our expert, Doug Winter, has access to many valuable and sought after rare coins. These coins are currently well-priced and meet many of the same criteria of condition, grading and uncorrelation as the top tier 'Pogue' coins. Many of you have taken advantage of our Spotlight Coin offers each month. 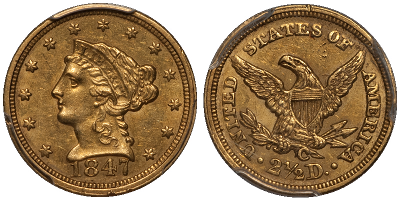 Click here to see an example of a previous spotlight coin. Our Spotlight coins are a great way to get your feet wet before diving into the rare coin market. However, to achieve what many of you are looking for in portfolio protection, our Rare Coin Program is the next logical step. Doug has hand-picked a series of Charlotte minted quarter gold eagles that offer not only a great purchase price, but also the non-correlation and true rarity exemplified in our rare coin program. The Charlotte Mint only produced gold coins in three denominations during its entirety ($1, $2.5 and $5). Of these denominations, the $2.5 is by far the hardest to locate in higher grade. 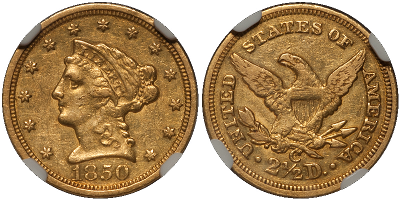 Despite popularity with collectors, we believe Charlotte quarter eagles remain undervalued in comparison to other Southern branch mint issues. We are proud to offer you a group of five different quarter eagles from this mint. If you are from the South, these coins are a part of your history. If you approach coins from a more investment-oriented side, these are lovely quality issues popular among collectors. These coins also exhibit the fundamentals with which we select areas of the market upon which to focus. Take advantage of these great offers now while they are still available. We tend to sell out within 24-48 hours, so don’t hesitate to call! Call an ASI Preferred Client Relations representative at 877-340-0790, or email me to get your questions answered or to start your rare coin portfolio. We are not paid by commission. We are your guides to point you in the right direction. Let us ease the frustration and concern over economic factors beyond your control. Let us help you take advantage of these and other rare coins before currency and market stresses impact your equity porfolios.